On Wednesday, Oct. 10, from 6-8 p.m., Asian Pacific Islander Student Programs (APSP) livened up the area surrounding the Bell Tower with their Fall Welcome. Fall Welcome is APSP’s kickoff event for the school year and is an opportunity for students to meet a variety of Asian and Pacific Islander (API) organizations that fall under APSP. “I really enjoyed the vibe of Fall Welcome and checking out the different clubs. I didn’t participate in many clubs in high school, so I’m excited to start getting involved,” said first-year psychology major Jessica Pham. Students were able to wander down the row of tables and if they were dedicated enough to visit every clubs’ table, they were rewarded with free food. Nearby, hip-hop and pop music flowed from a stage decorated with leaves and lit with purple and red lights. Throughout the course of the event, there were student performers entertained the crowd and received cheers of support from the audience. The clubs that came out to Fall Welcome were Oceania Dance of UCR, Chinese Student Association (CSA), Vietnamese Student Association (VSA), Katipunan and the Nikkei Student Union (NSU). 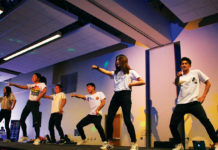 Students can get involved with different types of Asian and Pacific Islander clubs on campus, such as a social and cultural club like VSA or a dance club like Oceania Dance of UCR. Each club promotes a different perspective on the rich history of what it means to be an Asian Pacific Islander. Along with that, these organizations strive to provide a safe space where everyone can come in and learn about API culture. In between work and learning, they often hold socials to give students the chance to form connections and feel like they are part of a family. 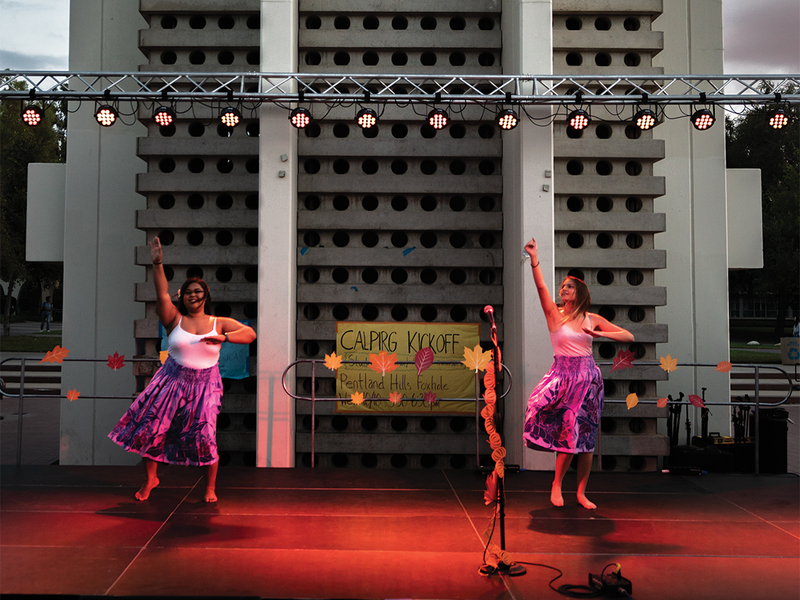 “I hope that they find a home here in the club, anybody can come and find an escape from daily life and relieve stress and hopefully they learn a couple of dances along the way,” said Rume Diamreyan, President of Oceania Dance of UCR. Located at 244 Costo Hall, APSP offers benefits like ten free pages of printing a day or a place for students to hang out and relax with their friends. 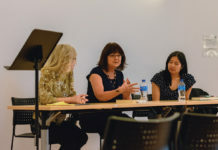 APSP also runs a peer mentor program, a round table where people can discuss sensitive topics, and their most recent addition, the Narrative Project, where they show off the unique culture of each individual Asian American and Pacific Islander ethnicity. “We want students to meet all the different organizations that fall under our office. And even though we are different ethnicities and have different backgrounds, we can still all come together and celebrate the Asian Pacific Islander (API) community and make our campus a more welcoming environment for everyone regardless if they are API or not,” commented Robbie Jiao, a second-year who is undeclared within CNAS and an APSP student coordinator. 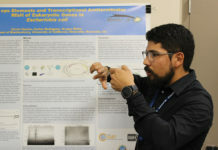 Students who may have missed the Fall Welcome can look forward to, APSP’s numerous events and programs throughout the year. On Thursday, Oct. 18, APSP will be hosting an open house where students can meet APSP student coordinators and staff, learn about their programs and enjoy free food. This event will be happening at 244 Costo Hall from 11 a.m. to 12 p.m.